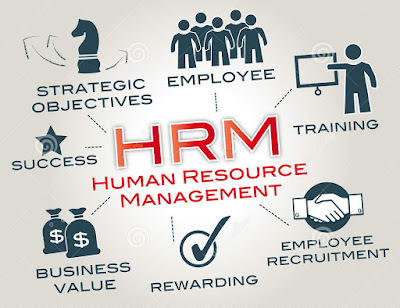 What Role Does Human Resource Management Play in a Business? The human resource function has gone from the traditional hire and fire role to a strategic partner at the table with finance, operations and other business centers that are not centers of profit for the organization. The job of HR, as is the job of all such departments, is to ensure that the business gets the most out of its employees. Another way to put this is that the human resource management needs to provide a high return on the business's investment in its people. This makes it a highly complex function - because it deals with not just management issues but human ones as well. These 2 polarities are not always easy to balance and the human resource managers specifically try to maximize output from employees by instituting various schemes and policies. The following are some of the functions handled by the human resources team. Human resources are responsible for tying incentives and rewards to certain positions and roles in order to maximize performance levels. This is a strategic thinking task because it affects every single person in the organization and has to be planned separately for each position, depending on level, department and goals. Some jobs need to be more goal driven, such as sales so salary can be basic but commission can form the bulk of the remuneration, leading to more incentive to work effectively and close sales. Some firms tie top management's salary to stock price but this can be risky. It is up to human resources to structure this important aspect to everyone's satisfaction. Another important task handled by the human resource function is the selection and retention of employees. If the right type of employees does not enter the organization, its days are numbered, because people drive almost any type of organization towards success. Regular, balanced and systematic appraisals must be administered consistently in order to evaluate the performance of each individual in the organization. This allows human resources to pinpoint the weaknesses of an individual's work style and the strengths. They can then share this information with the employee in order to affect a change in performance. This in turn will lead to more productivity and potentially better returns on human investment. The human resource personnel form the point of contact for an employee with any type of difficulty or query about their remuneration or other aspects of employment with the business. It is essential for someone to be available to answer questions and provide guidance. This communicates to the employee that the business cares about his or her concerns and is available to address them. The human resources function fulfills a very important 'soft skill', unspoken task - that of balancing employee expectations and the organization's expectations. Both need to be addressed and aligned for a business to be successful and one with satisfied employees. Only a content and motivated employee will deliver good work, so it is the job of human resources to keep track of the expectations of the employee and those of the organization to ensure both are met simultaneously.